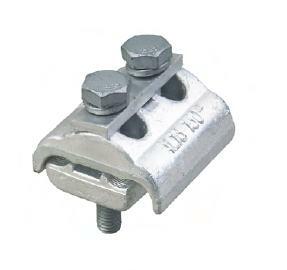 Aluminium parallel groove clamp (PG clamps) are used for connecting two bare conductor or two insulated overhead line. If aerial bundled conductor is insulated, insulation must be striped before installing and then is necessary to install PG cover, who replace insulation. Use for aluminum conductor to aluminum conductor connection.